The Arizona Strip is the area located between the North Rim of the Grand Canyon and the Utah border. 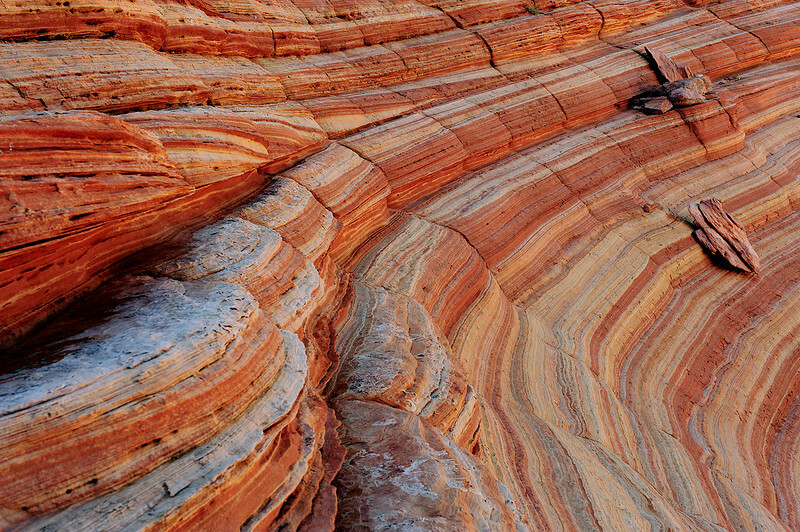 It contains some of the most unlikely and spectacular geology on the planet! "LINES OF TIME (South Coyote Buttes, AZ" - More of an abstract than I usually would shoot, this section of sandstone in South Coyote Buttes really caught my eye.